I always appreciate a true challenge from a design perspective, especially when creating contemporary outdoor living spaces. My clients had a mostly unused backyard that featured mainly weeds on a fairly steep slope. 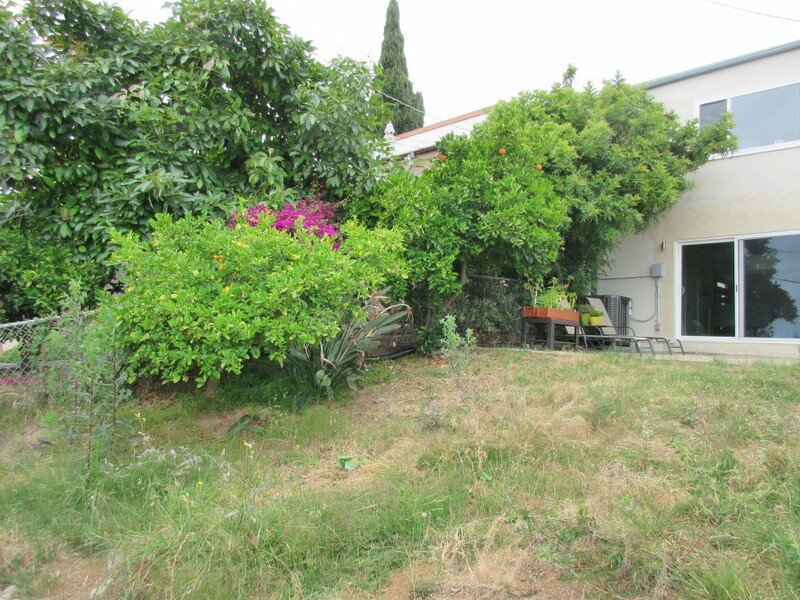 There were two existing citrus trees that we decide to retain, but beyond that, everything else was up for grabs. The site featured and existing deck that really wasn’t large enough to both accommodate a dining table and have an area for lounge seating. The house was situated on the property with a zero lot line to one side which created more space, but then again also had limitations. 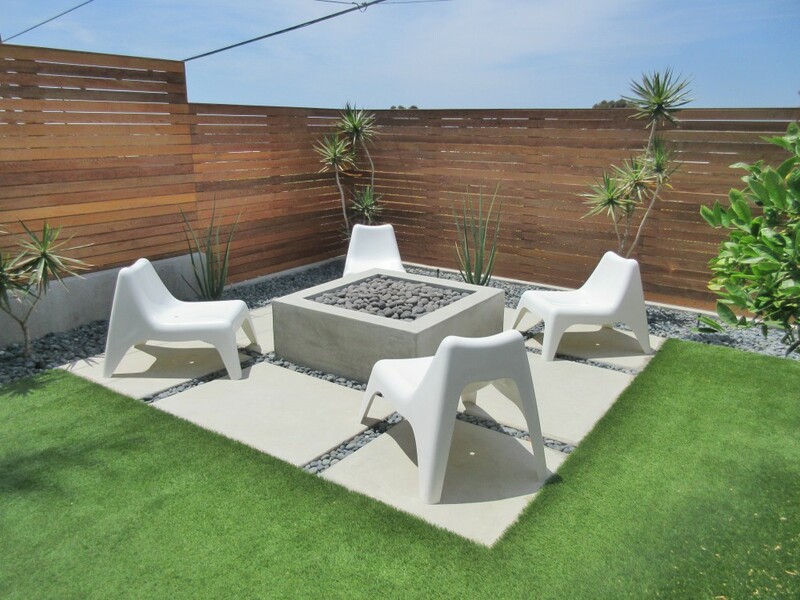 My client’s goals were to create new contemporary outdoor living spaces starting with expanding the deck area. Create a place for a free standing grill. Add vegetation to soften the neighbor’s blank stucco wall. Also on the list was to create more level space with retaining walls and include a new fire pit along with artificial turf. The residence was a very contemporary open plan which dictated using similar lines and effects for the new landscape. After visiting the city planning department to verify the back property lines, I had to establish the grades and then determine how best to create new level spaces for a contemporary outdoor living space. The client really wanted to avoid any permits (other than the gas line), so new retaining walls were constructed at the back property line at 36 inches high. This created the new level area for the turf and fire pit. 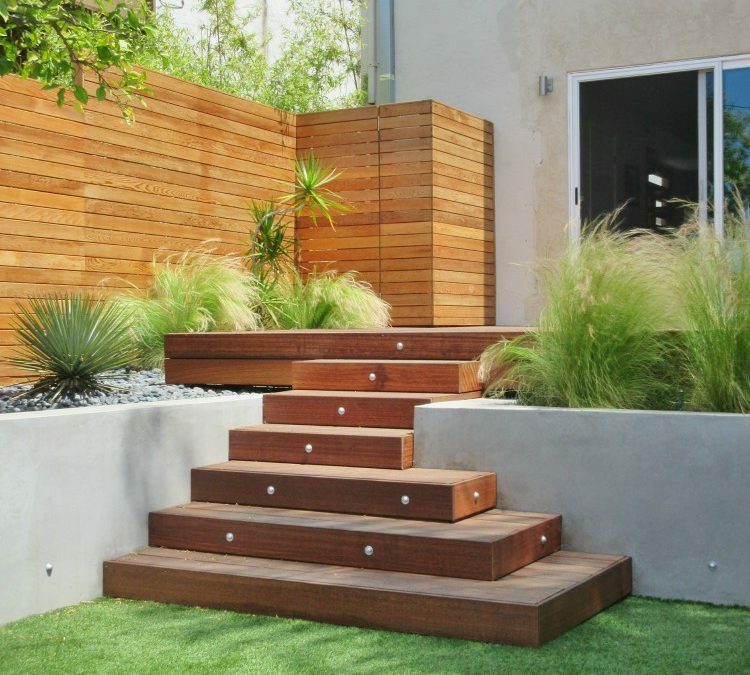 A second wall was mostly hidden with a new deck that cantilevered over the wall and with the addition of a planter showcasing ornamental grasses. Adding new wood steps leading down from the deck to the fire pit level gave the homeowner access to the entire space. Other smaller walls were needed to maintain the existing grade for the two citrus trees. These walls had to straddle utility lines, however the overall design was not impacted in the least. 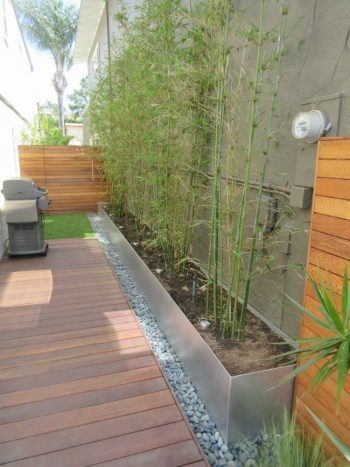 The owner’s located a company to build a steel planter box to house new bamboo plants to screen the large blank neighboring wall. New horizontal fencing was employed to create screening from the adjacent neighbors. Similar fencing was used to create a screen and gate to surround the large air conditioning compressor at the corner of the house at the deck level. 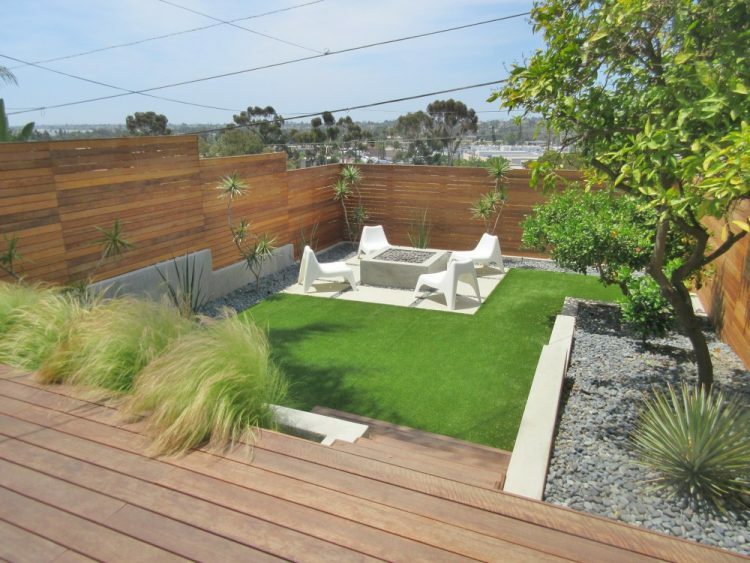 The owners decided to embellish the plan with plants of their own choosing. Working with Rancho Soledad Nursery they found multiple specimens of Dracaena marginata (Dragon Tree) and also Furcraea macdougalii. I salute this customer as they did various elements of the work themselves and hired their own contractors which saved them a considerable amount of money. Initial bids from landscape contractors were way too extreme. The overall construction time may have been doubled, but the end result shows the beauty of new outdoor contemporary outdoor living spaces. Contact Letz Design Landscape to develop your own new outdoor living spaces in whichever style you love.